MAO Background: Jackie competed as a contestant for four years before becoming the CMNH Chair on the Miss Utah board. She recently was appointed to the Executive Secretary position. Biggest Takeaway: Your platform doesn’t expire when you give up your crown – or at least it shouldn’t. Jackie continued to provide service projects (community service engagement was her platform) for the Miss Utah contestants even after she finished competing and then later became the CMNH Chair because of it. MAO Background: Lynn competed for Miss Utah 1983 and won on her first try! Biggest Takeaway: We all have crowns that are made from our unique beauty that we radiate. Anyone can make something out of rhinestones, but the ability to make others shine and to shed light is what makes the best kind of crowns. MAO Background: Jill competed for two years at the Miss Utah pageant before being crowned as Miss Utah 2007. 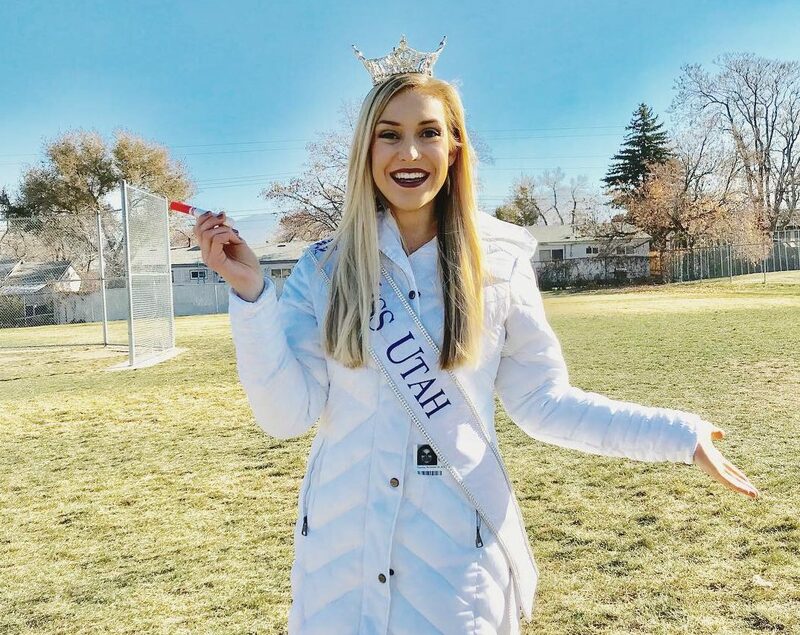 She was selected as the People’s Choice Winner for the Miss America 2008 pageant and was best known for being a soldier and Miss Utah simultaneously. Biggest Takeaway: Being strong and embracing femininity are not mutually exclusive; becoming both a soldier in Afghanistan and an MAO titleholder require strength and discipline. Think Christmas Wonderland and that comes pretty close to describing the Festival of Trees. For the past 48 years, the Festival of Trees has been a huge fundraiser for Primary Children’s Hospital. Each tree is dedicated to those fighting medical battles, those who have passed, or those who have survived. 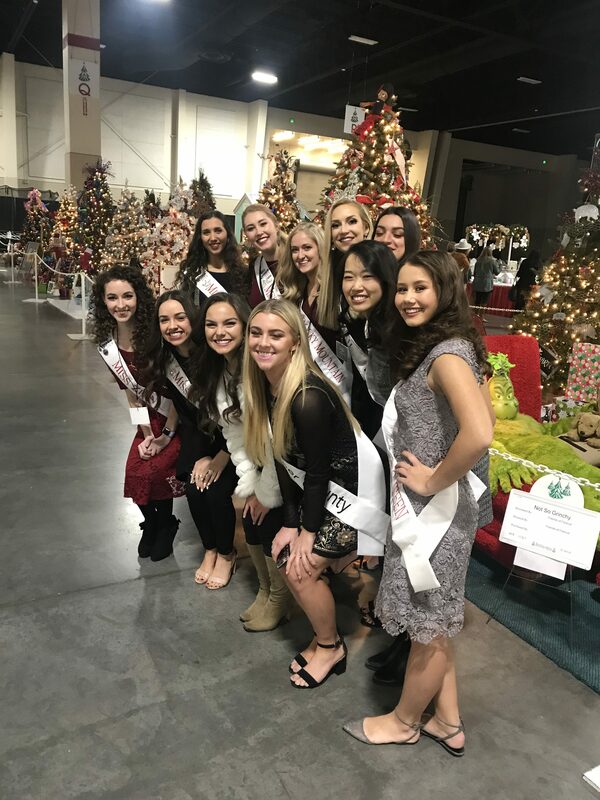 It was so much fun being able to serve at this fundraiser with the Miss Utah 2019 candidates. On November 29th, many titleholders and I got together to make play dough for South Franklin Community Center’s annual Christmas party. Some would prepare the ingredients, others would mix the dough on the stove, others kneaded coloring into the dough, some packaged the dough up, and then there was dish duty. We had a pretty great assembly line and it was fun talking about awkward dating experiences and favorite Christmas traditions with one another. 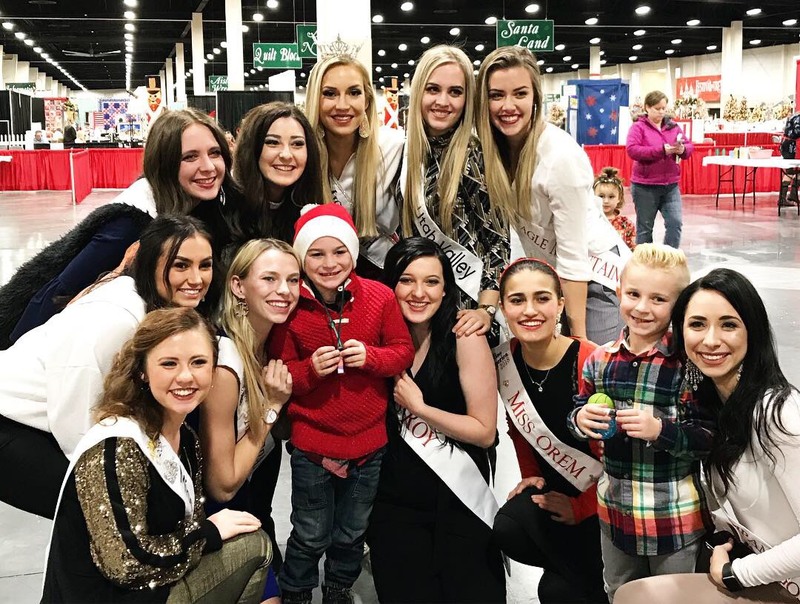 I won’t lie – the thought of talking about leadership in front of my peers was a little intimidating, but it turned out to be one of my favorite appearances as Miss Utah so far. I loved it because we got to discuss why being an introvert can be a positive for a leader rather than negative. I could see relief, happiness, appreciation, and understanding on so many faces of my peers and I definitely felt those emotions as well! 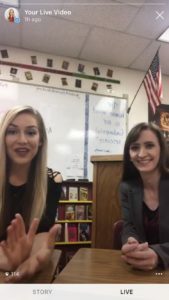 It felt great to really be able to talk about my experiences as a leader both at the University of Utah and as Miss Utah and to also hear about the various strengths of my fellow introverts. We all came to the conclusion together that you don’t need to be a cookie-cutter mold of a leader; you can be yourself and bring many different valuable assets to the table. 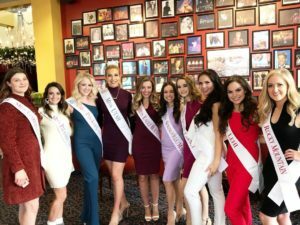 The Miss Utah Fall 2018 workshop was so much fun. I always think of this event as a family reunion because I get to see hostesses, field directors, board members, sister queens, pageant friends, and more. It was interesting going to the meeting and not having to compete or to worry about measurements for opening number dresses or future paperwork deadlines. I felt so much more relaxed and it was great getting to know the current class of titleholders and spend time with old friends. 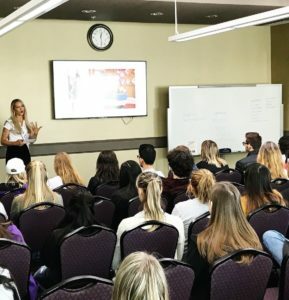 I got to share what I’ve learned over the years as well as advice with the incoming class before I had to dash off to be a bridesmaid at my best friend’s wedding! I hope you have a wonderful holiday season! I don’t know about you, but I am SO ready for December and all of the fun traditions it brings.